Thank you! I've updated the page. hm, do you edit the installation tutorial page? this guy was asking me some specifics earlier and i sent him to the page but he said it didn't "explain" what the code in the .bat file did... can community members add information to that? or do i need permission. That page is unlocked and open to the community. If you'd like it to be edited, you can do it yourself, or DM me the edits you'd like to have made. Hello can you help me with something fixing? or can you add me on discord and we talk? I offer server setups and troubleshooting for a small hourly fee. Message me on Discord at joshwenke#3913 or here on Spigot for details. Joshy can you add me on discord? Where can I find these people? I only do Java development, and not server setups. There are a lot of people on Spigot who will do a server setup for you. You are such an OG member of Spigot!! First ever post on md5's profile... Joined December 2012... Pretty amazing. Yes! I love my role here. Although it's not usually noticed on the front lines, I enjoy making the Wiki a better place each day. Hi! Digger, Eartharoid and joshwenke like this. Glad you appreciate proper grammar as well! Digger, Eartharoid and MacMasterMac like this. Anyways... Resources FAQ is a dead link on the Forums wiki. What are you talking about? I've known Josh for a few years and I've always known that he was a staff member on here. 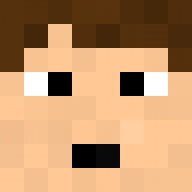 Hey josh do you know of any plugins for xenforo spigot plugins with /code like how cobalt has? We actually use a variation of syslog instead of direct console access! Eartharoid, JackHaynie and BrettPlayMC like this. I replied to the post. lol you both did replied. Aka it can take up to 100 years for you to get it. Note "Don't really do that"
2end note "Mineplex already did"
Is it pronounced Josh Wenkie or Josh Wenk? WHEN-key is the technical pronunciation. :) But I've heard a million different ways of saying it. JackHaynie and FloThePony like this. Digger, JackHaynie, FloThePony and 1 other person like this. Thanks for posting garbage on my wall. I like Minecraft and music and pie and anything that's food-related. Need help? @tag me or reply to my post and I'd be happy to help out! Owner of the Cobalt Network. Log on at IP play.cobalt-mc.com.